Inbox by Google is being updated with a few crowd-pleasing features aimed at people travelling home for the holidays. While Inbox has been showing trip-related info in the guise of Trip Bundles for a while now, you haven’t been able to make specific emails a part of those bundles – but now you can. They’re also viewable offline if you use the ‘Move to’ menu, which is useful if you have no data connection but want to keep an overview of what you need to be doing. Google’s also made it possible to share your Trip Bundles with friends or family, which is a useful way of letting someone know where you’ll be at any stage in your journey without needing to share all the emails or info individually. And rounding off the list of updates is an improved image attachment process that gives quicker access to recent files and the ability to attach multiple photos at once. 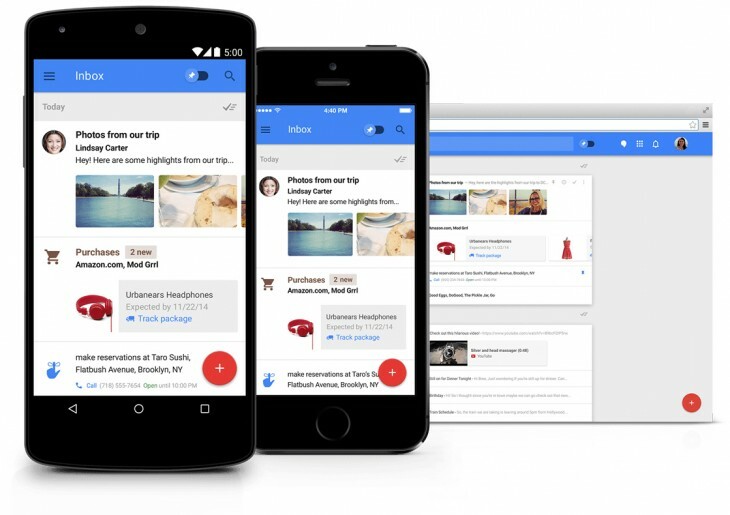 Google says the new Inbox by Gmail features will roll out over the next week, just in time for your trip home.